The Western is one of America’s unique contributions to culture. It reflects American history and has helped shape the nation’s view of itself and how it others see it. 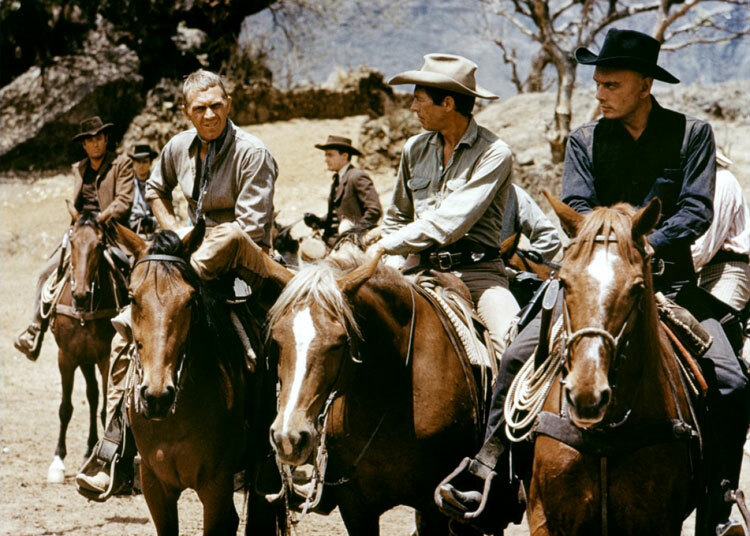 However, the history of the Western is so pervasive, that some of the most remarkable films of the genre were actually made in Europe – specifically in Italy and Spain with the Spaghettis Westerns which began in the 1960s. There were also Westerns from Russia and Germany. So, the history of the genre is a complex one, with many different strands and facets, and with more icons and interesting films than is possible to mention in one article. This list attempts a run-down of the greatest films in the genre; ones which are particularly important because they set certain standards, or those which are some of the most artistically impressive examples of the genre. 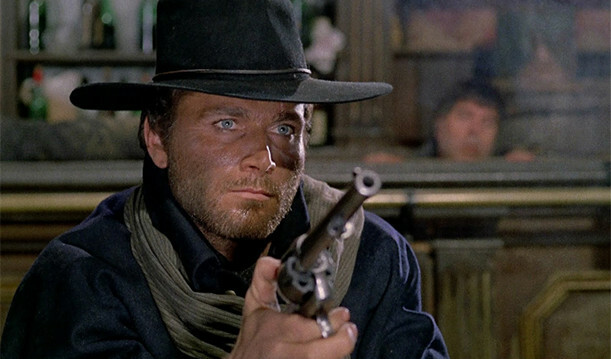 Certainly, if you are a novice to Westerns, the list will provide an excellent starting point from which to begin your journey through this complicated, violent, morally ambiguous, but always fascinating genre. 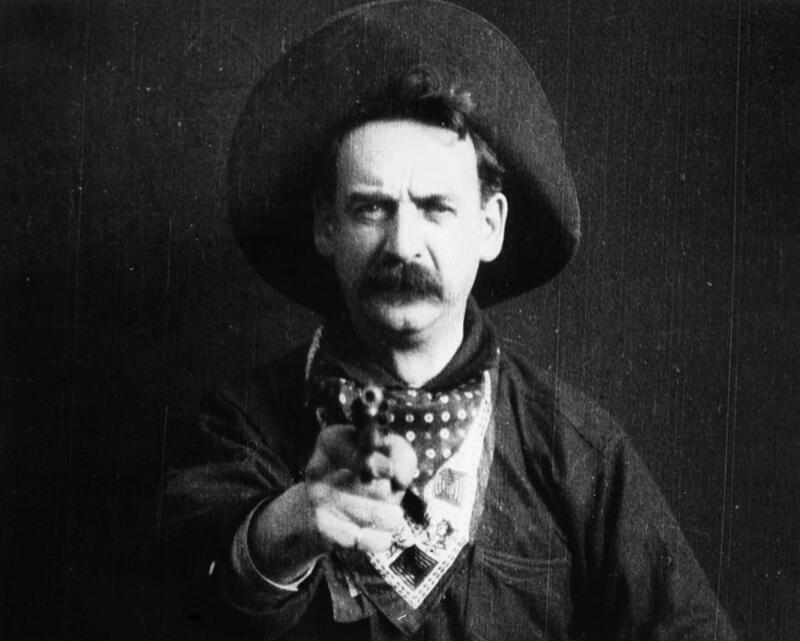 The first Western ever made? While it is unlikely to be enjoyed in the same way as others on the list, this deserves to be mentioned for inventing so many of the conventions and recognisable iconography on which the Western was built. It is a straightforward story of a train heist and the subsequent hunting of the robbers, told with pace and with lots of action. Two scenes stand out – a poor unfortunate being sadistically forced to dance to avoid having his feet shot, and the closing shot of a gunman firing straight at the audience. Both scenes, incidentally, are explicitly referenced in Martin Scorsese’s Goodfellas. William Wellman’s film starring Henry Fonda is an anti-lynching and anti-mob rule film. Fonda tries to stop the posse from fulfilling its role, but rather than simplistic moralising, the film is made complex through its characterisation. It also has a rough, occasionally brutal tone; especially evident in one early scene where Fonda punches a man out in a bar and then uses the leverage from the bar and a door frame to lift himself up and stamp on the man’s head. Sergio Corbucci made numerous Spaghetti Westerns, but none more famous or notorious as this. It replays the basic plot of Yojimbo, used by Sergio Leone for A Fistful of Dollars in 1964, of a lone stranger playing off two villainous gangs against the other, but adds in extra violence and baroque touches. These include a machine gun hidden in a coffin, which the hero drags behind him, plus a scene where a man’s ear is sliced off and fed to him. The figure of Django was so popular that it spawned numerous unofficial sequels, remakes, and spin offs (including Tarantino’s Django Unchained). Corbucci’s film had only one official sequel; Django Strikes Again in 1987). 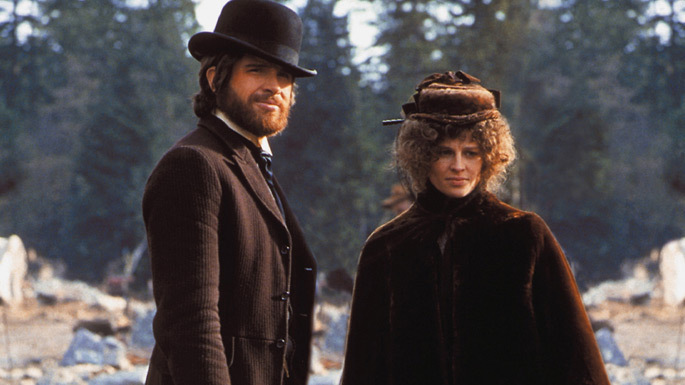 Robert Altman’s unusual Western stars Warren Beatty as a gambler who owns a brothel with Madam Julie Christie. The snowy backdrop is beautifully photographed and the film is a critique of big business and capitalism. A sorrowful, quite melancholy film. The most recent version of the tale of the outlaw Jesse James, stars Brad Pitt and Casey Affleck as the title characters. Australian director Andrew Dominik is a former music video director, and his film is his follow up to his superb debut, Chopper, which similarly riffs on the links between crime, fame, and legend. The film has a melancholy, almost lyrical tone, which is aided by Roger Deakins’ warm and evocative cinematography. 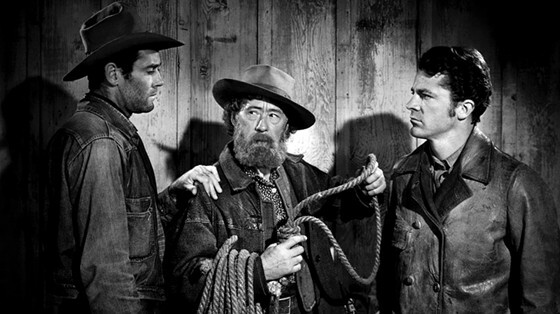 John Ford’s film is dark and cynical, and brings together three American Western legends in John Wayne, Lee Marvin, and James Stewart. Unlike many of his films, the Monument Valley setting is absent, with much of the action shot on sound stages. 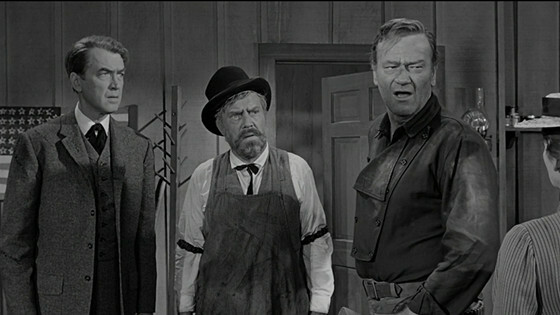 It is a film about reputations and myths; with a politician Stoddard’s (Stewart) reputation owing everything to him shooting down Marvin’s Liberty Valance, even though it is Wayne’s character who actually did the deed – from behind and from the shadows. It was Ford’s penultimate Western (not including a segment for How the West Was Won). This was Clint Eastwood’s first American Western after he had been out in Italy starring as the Man with No Name in Sergio Leone’s Dollars films. He stars as a sheriff out to take down the men who lynched him, the scar from the noose still raw around his throat. The story and visual style is a mixture of the traditional American Western, but influenced in the cinematography and the frequently baroque touches by the Spaghetti Westerns which were becoming so popular at the time. A macho Hollywood ensemble film, with a famous Elmer Bernstein score. The plot is lifted straight from Kurosawa’s The Seven Samurai, with a team of gunslingers hired to protect a village from bandits let by Eli Wallach. The film had several sequels and Yul Brynner later played homage to the character he plays here in Michael Crichton’s science fiction film Westworld; as a black clad, Terminatoresque robot gone insane. A surreal Western and unofficial Django film, though in reality it is related to Corbucci’s film only in name. The film is intentionally closer to a gothic horror movie than a Western, born of the fact that director Giulio Questi had no real love of the genre. The film begins with Django crawling out of a mass grave, and has a recurrent fascination with images of gold. In one startling sequence a man is shot with gold bullets and then torn apart by people with their bare hands trying to dig out the nuggets. In another, one of the villains gets molten gold poured over his face after it melts during a fire. 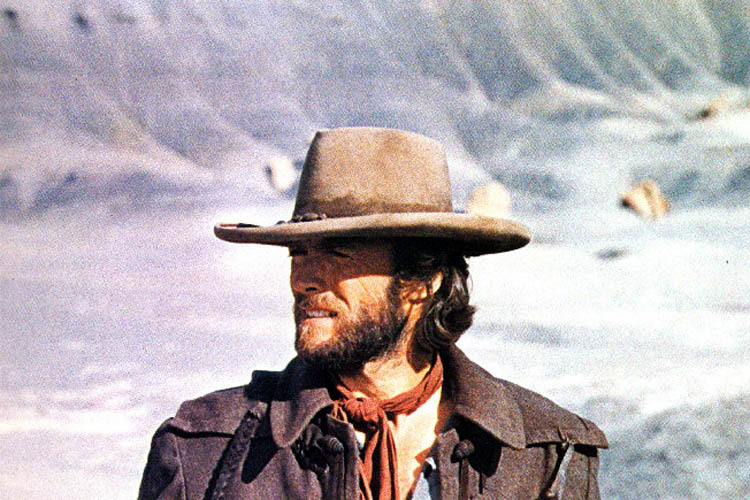 Clint Eastwood directed himself as Josey Wales, a Southerner out for revenge against the soldiers who killed his family and on the run from the bounty hunters hired to kill him. What makes the film different from other films sharing similar narratives is the band of followers Wales accumulates along the way. They represent the marginalised, the down trodden, and those rejected by society; including native Americans who eventually help him regain a sense of humanity. Chief Dan George plays Lone Watie, and provides much of the film’s sly humour.